Matt Lanter also is cast as the 2nd main opposite to Nicolas Cage in their forthcoming movie USS Indianapolis, based on real story of American warship that is sunk by the Japanese sub during Philippine Sea in closing weeks during the World War II. About 900 crewmen also survived, but they were eventually left stranded with the shark-infested of the waters. With Navy that was as well completely unaware about the ship had also been lost, even the sailors also awaited for the rescue for above 3 days. About 600 of survivors also died prior to the help arrived, majority that is under circumstances from the complete horror film since they are also picked off at time by the sharks. Lanter would also play the Chief Petty Officer of the Brian “Bama” with the Smithwick the US Navy Diver that is from Gulf Coast. Through the Hannibal and the Classics film, with the USS Indianapolis is also directed through Mario Van Peebles as well as written through the Cam Cannon as well as Richard Rionda of the Del Castro. The Castro even serves as the producer. Moreover, Shooting will also start on June in the year 2015 in Mobile at Alabama. 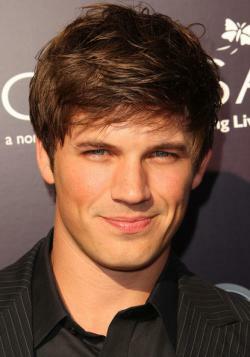 On the other hand, Lanter will also be seen as upcoming ABC and the drama Astronaut of the Wives Club. They are also repped through UTA, with the group of Emerald Talent as well as the Stone, Genoa, Meyer, Binder, and Smelkinson. Hence, through Hannibal as well as the Classics movie, with USS Indianapolis that is even directed by the Mario Van Peebles & it is also well written through Cam Cannon along with the Richard Rionda of Del Castro. So, shooting the film will be a great experience & shooting of the movie will be scheduled for June 2015.